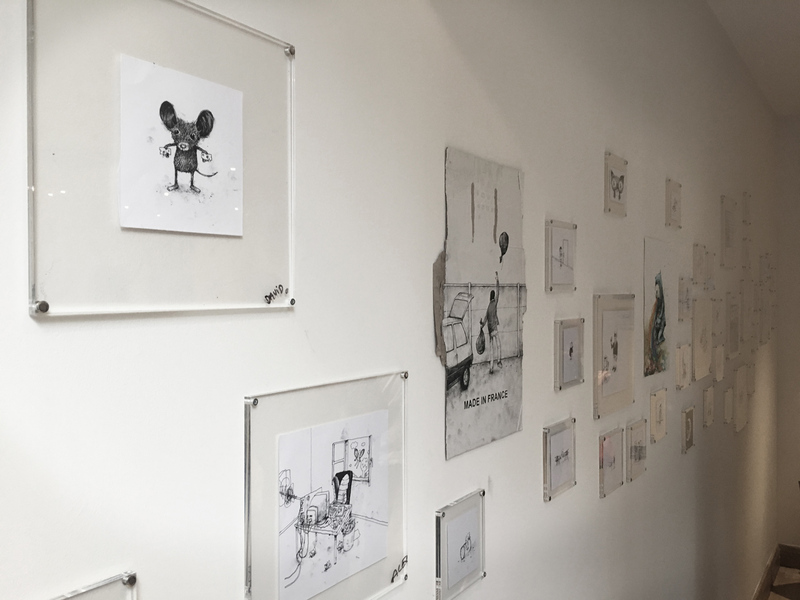 Dran opened a new pop-up exhibition in London over the weekend entitled Dessin du Jour. 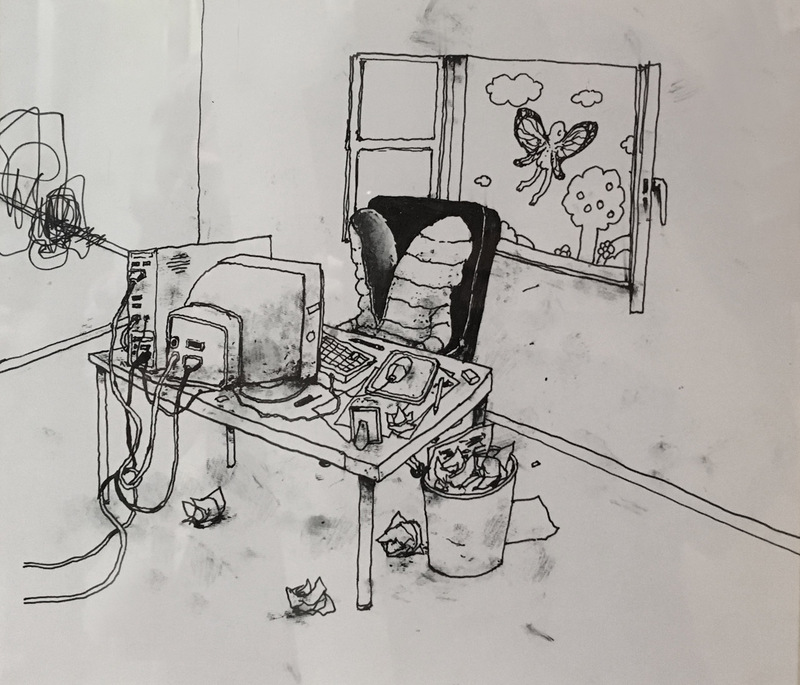 As the title suggests, the body of work is dominated by approximately 120 drawings which the artist has been executing on a daily basis in preparation for the show. The pieces individually distill down the small victories and defeats, dreams and doubts and joys and sorrows of everyday life. 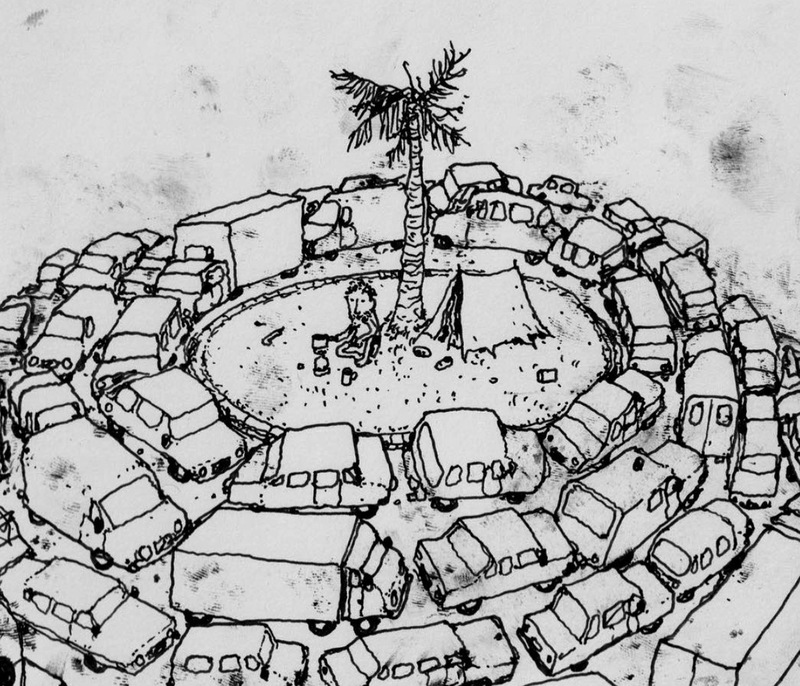 We see a man marooned on an island encircled and cut-off by gridlocked traffic which speaks to the isolation of modern urban life, a figure finding an alternative means of negotiating a maze as an allegory for the importance of finding our own path in life and a girl blowing a dandelion back into a boys face as an affirmation of female strength. 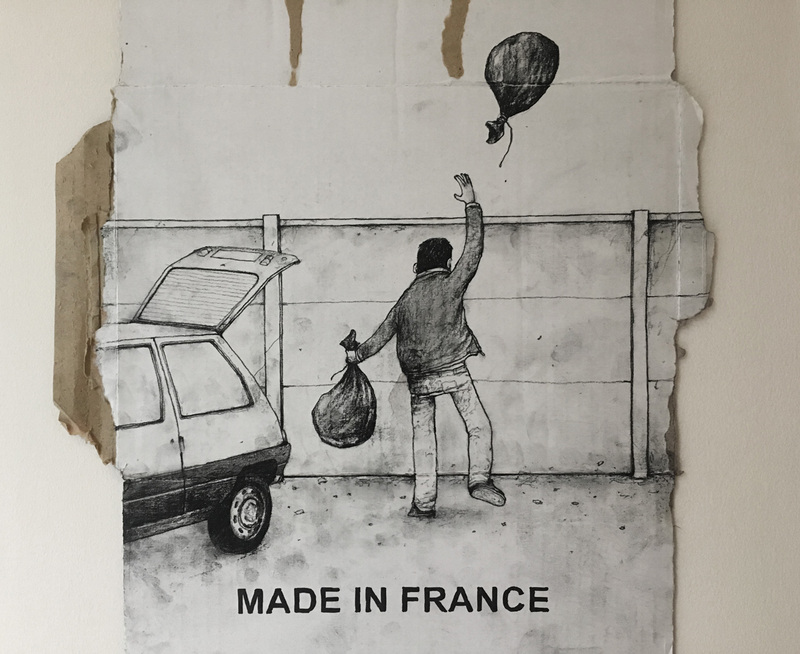 The Toulousain artist’s work is infused with a deep sense of pathos but his trademark dark sense of humor helps to ensure that the works remain both engaging and compelling. 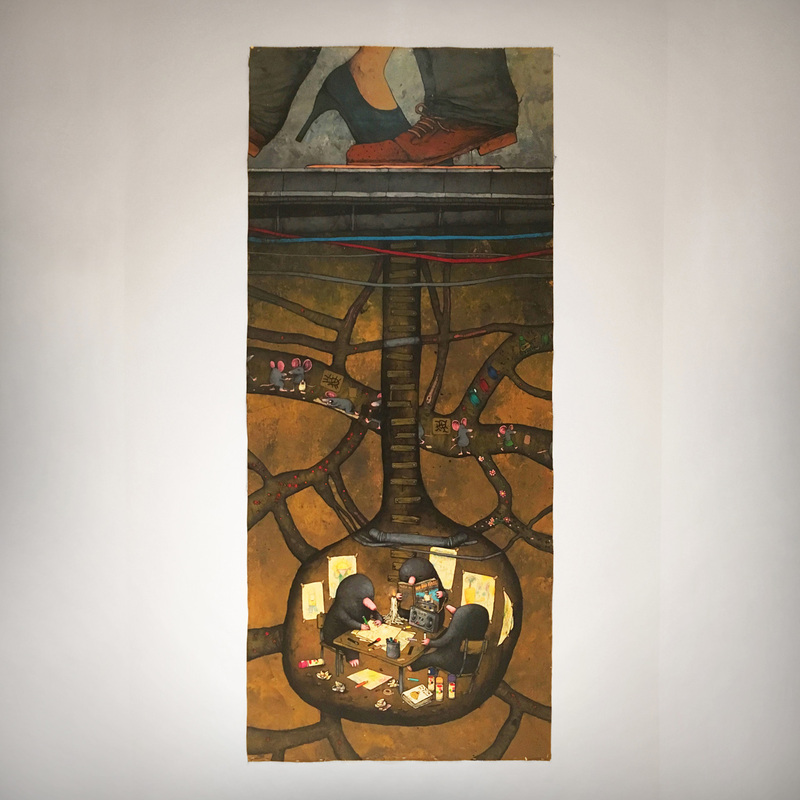 The exhibition’s only canvas depicts a parallel world existing beneath our cities’ streets inhabited by a host of subterranean creatures including mice, worms and invertebrates. 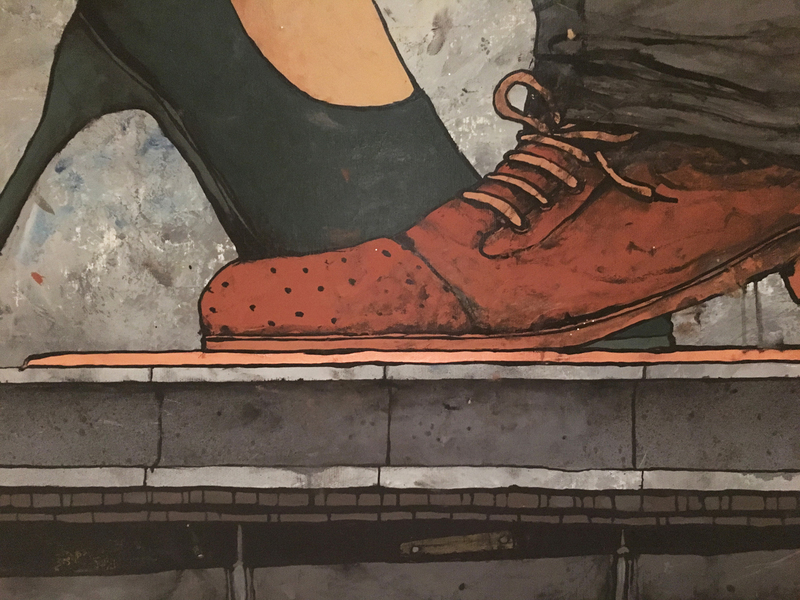 Central to this scene is something akin to the Writer’s Bench, which has been transferred from 149th Street Station in the Bronx to these underground tunnels. 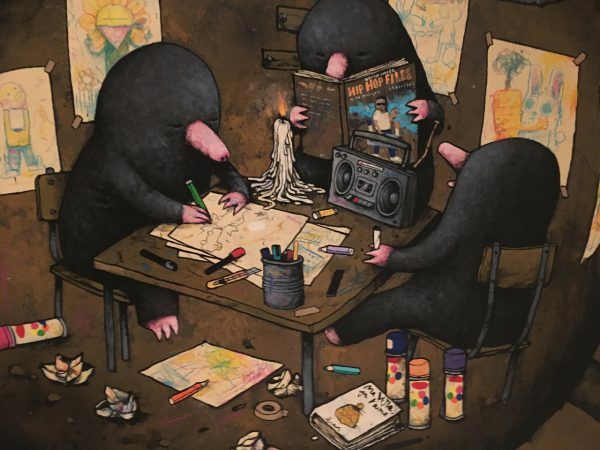 Here we can see a gang of moles sketching, avidly reading Martha Cooper’s Hip Hop Files and kicking back smoking a joint. The exhibition also includes two new prints, the first of which is a heavily hand-finished mouse brandishing two lumps of cheese. The second print references the classic escape scene from The Shawshank Redemption but instead with our protagonist escaping the agitation of mental penury via a hole concealed behind a poster of Jean-Auguste-Dominique Ingres’ The Valpinçon Bather, a painting known for the calm composition and the harmonious lines of its subject. The exhibition runs through until 10 June at 13 Pollen St, Mayfair, London W1S 1NH. Categories: Shows & Events, Street & Urban Art. 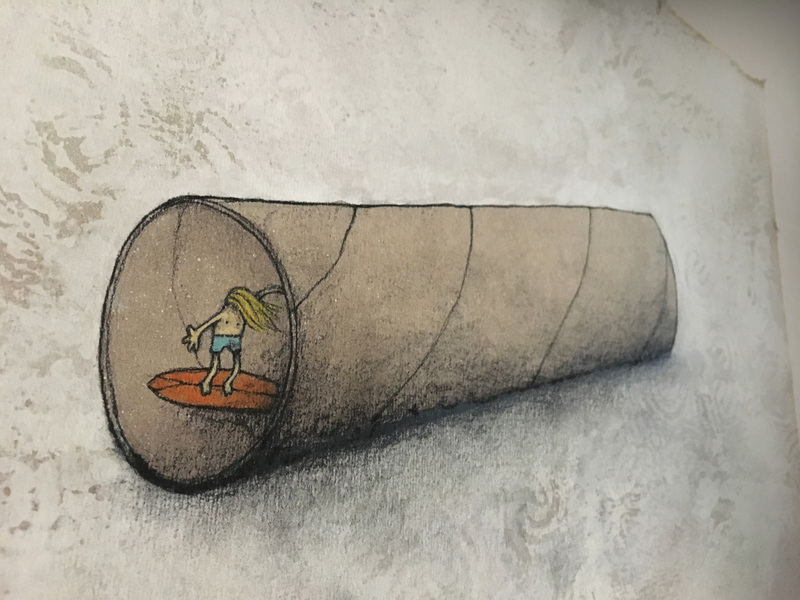 Tags: Da Mental Vaporz, Dessin du Jour, DMV, Dran, featured, London, Londres, Shows & Events, slider-featured, Street & Urban Art.